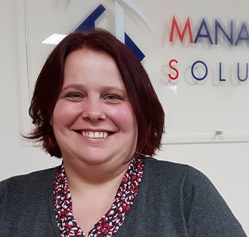 Gail has worked for Managed Risk Solutions since 2013 having previously worked for Towergate Insurance for a number of years. As a Commercial Account Handler, she deals with the day to day administration for existing clients, setting up finance agreements and arranging renewal meetings. Gail is also responsible for the setting up and handling of the majority of claims. Outside of work she enjoys going to the cinema and is proud to call herself a bit of a geek, enjoying Sci-fi and online gaming.